Dave Mitchell retired as Division Chief, Communications in 1998 from Vancouver Fire & Rescue Services following a career spanning 32 years. During this time he was responsible for managing the emergency call taking and dispatch for the Vancouver and Whistler Fire Departments. In 1997 he managed the transition of dispatch service for the five Fire Departments on the Sunshine Coast from an independent contractor, to Vancouver Fire/Rescue. In 1998, Dave was hired by E-Comm, Emergency Communications BC as its first Director of Operations. In this role he was a member of the founding senior management team, and was responsible for the transition of the Regional 9-1-1 Control Centre staff from the Vancouver Police Department to its current location at 3301 East Pender in June 1999. 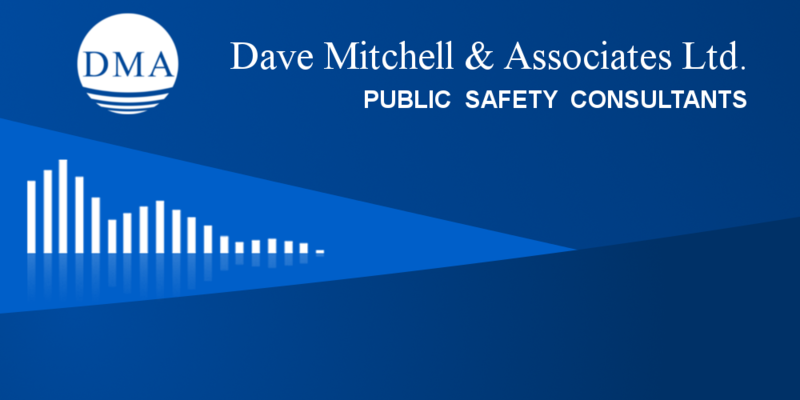 By June 2000 this included the management of approximately 200 call takers, dispatchers and team managers in addition to a ULC listed alarm monitoring service. He left E-Comm in June 2000 to work as a consultant, and since that time has managed the development of corporate, strategic and operational plans for a number of clients. Dave holds a Bachelor of Arts Degree (Geography) from Simon Fraser University in addition to a diploma from their Executive Management Development Program. He is past Chair of the Board of Directors of the Vancouver General Hospital and University of British Columbia Hospital Foundation, a Director of the Justice Institute of British Columbia Foundation, a member of the National Fire Protection Association, the National Emergency Number Association, the Association of Public-Safety Communications Officials, the Fire Chiefs' Association of British Columbia, the BC 911 User Group, and the Canadian Association of Management Consultants. Greg Betts is a professional administrator with over 30 years' experience in local government and a proven record of leadership ability. He has a thorough knowledge of the relevant legislation, excellent written and oral communications skills, sound judgment and tact, and outstanding interpersonal and team building skills. After graduating with a Bachelor of Arts (Psychology) from the University of Victoria (UVic) in 1981, Greg's career in local government began as Deputy Corporate Officer with the District of West Vancouver. In 1986 he received his Masters of Public Administration from UVic. He left West Vancouver in 1987 to become the Deputy Corporate Officer for the City of Surrey where he stayed until 1990 when he took the position of Chief Administrative Officer (CAO) for the District of Coldstream. In 2005 he took a two year position as General Manager of Electoral Area Services for the Regional District of North Okanagan (RDNO) followed by a three year term as the CAO for the RDNO. Following his retirement in 2011 Greg began his consulting career undertaking the completion of an Integrated Community Sustainability Plan for the City of Enderby. In 2012 he assumed the contract position of CAO for the Township of Spallumcheen where he recruited the Township's current CAO and assisted the Township in developing its first Community Development Plan (CDP). Since September 2014 he has continued to work with the Township to complete a number of capacity building projects identified in the CDP. One of these projects was to facilitate the implementation of recommendations arising from a Fire Services Review completed by Dave Mitchell & Associates for the City of Armstrong and Township of Spallumcheen's shared fire department. 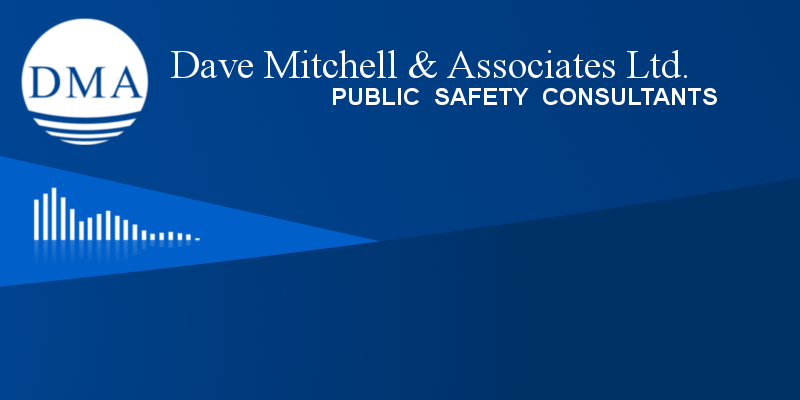 As a result of his involvement with the Armstrong/Spallumcheen Fire Services Review, Greg began an affiliation with Dave Mitchell & Associates in 2015. To this group, he brings a breadth of general experience as a local government administrator and an understanding of the importance of communicating effectively with elected officials and city administrators. Greg brings an excellent perspective on the challenges and issues facing the fire service, particularly departments serving small and medium sized communities which rely heavily on the efforts of paid on call members. Jack Blair is a dedicated fire officer with over 40 years of professional firefighting experience. He has a wide-ranging background and during his career developed expertise in all aspects of the fire service from training and fire operations to administration. His strong work ethic and uncompromising devotion to service have been hallmarks of his career. Jack started his firefighting career with Vancouver Fire and Rescue Services in 1978. During his 27-year career with VFRS, he was promoted through the ranks holding the positions of Training Officer, Fire Investigator, Lieutenant and Captain. In 2005, he went to the Columbia Shuswap Regional District as the Fire Services Coordinator where he was responsible for the oversight of 13 rural fire departments. In 2011 he became the Deputy Fire Chief, Operations for the Vernon Fire Rescue Department, retiring in 2017. In addition to his regular career duties, Jack has done extensive firefighter training as an Adjunct Instructor with the Justice Institute of BC and the Vancouver Island Emergency Response Academy. Jack’s varied career has given him an exceptional understanding of the challenges faced by both career and volunteer fire departments. He is well positioned to provide advice and assistance to fire departments at all levels. Jack has been involved with DMA since 2017 and has participated on fire service projects for the Thompson Nicola and Peace River regional districts and on the development of a fire training centre for the Dawson Creek Fire Department. Cassandra Boone easily translates technical needs into workable solutions with her down-to-earth style, technical abilities and experience with Public Safety. One of the biggest challenges with any technical project is the difference between the two user groups: the technical and the non-technical. With her knowledge of both worlds, Cassandra effectively bridges that gap leading to total team buy-in. Cassandra has been a core contributor in technology implementations for large dispatch centers throughout the Lower Mainland and Western Canada including several Computer Aided Dispatch and Records Management System projects. Her core competencies include technology implementation, development, training, business analysis and project management. She is currently an active member of the National Fire Protection Association, the Association of Public-Safety Communications Officials, the National Emergency Number Association and the Canadian Interoperability Technology Interest Group. Cassandra has received multiple commendations from the Assistant Deputy Minister and Director of Police Services of BC and an Inspector's commendation from the Vancouver Police Department. Wayne has over 40 years' experience with the BC fire service, and is now retired (2009) from Vancouver Fire/Rescue after a career spanning 31 years. During this time, Wayne served in fire suppression, rising to the rank of Battalion Chief. He also worked extensively with Vancouver Fire's training division as an instructor and Division Chief between 1996 and 2009. Based on his work in both roles he has extensive experience in fire rescue emergency operations, specialty teams, logistical planning and budgeting, training and development, facilitation, and project creation and management. In addition to his work with Vancouver Fire he has been an instructor at the Justice Institute of BC, at UBC's Sauder School of Business as well as for Capilano University. Wayne has developed and delivered in-house Firefighter and Fire Officer Development seminars, including ProBoard certified programs, for various career and volunteer/paid-on-call fire departments throughout BC, Alberta, Manitoba, and the Northwest Territories. His training expertise includes Firefighter I & II, Fire Officer Level 1, 2 and 3 programs – Emergency Incident Management (BCEMS/ICS, Command Post and EOC operations, fire behavior, strategies and tactics); Incident Safety Officer; Rapid Intervention Teams; Fire Service Instructor; and Live Fire Exercises Levels 1, 2 & 3. Wayne was also a Fire and Rescue Services Subject Matter Expert for the JI’s Critical Incident Simulation Centre’s program development for multi-agency, multi-jurisdictional incident management training. Wayne has worked with DMA since 2010 and has participated on many of the fire service projects. Geoff Lake is retired from the Richmond Fire-Rescue Department with more than 33 years' service. He has extensive experience in budget analysis, strategic planning/analysis, project management, executive leadership, contract negotiations and organizational change. Applying this experience successfully, results in effective and practical business solutions for organizations. During his long and successful career in the City of Richmond's Fire-Rescue Department, Geoff rose to the position of Deputy Fire Chief - Administration responsible for the Fire Prevention Division, the Mechanical Division, the Public Education Division, and Communication/ Technology. He managed a $22 million annual budget and was responsible for the procurement of capital equipment including fire apparatus and other fire services equipment. From 2004 to 2007, Geoff oversaw the completion of two new fire halls, from the initial planning and budgeting stage through design and final construction. These complex projects included conducting fire hall location studies, liaising with the city real estate agent to procure the property, and working with architects, planning and the city project manager to design and oversee construction of the facilities. With responsibility for the communications and technology requirements of the Department, Geoff oversaw the selection and implementation of the new Records Management System (RMS) and a new Computer Aided Dispatch (CAD) System. He took an active role in setting up Project Fires, a jointly owned/operated fire services RMS currently hosted by E-Comm. In 2003, under Geoff's leadership, Richmond Fire Rescue took a lead role in the emergency services Combined Events Radio Project. The project provided emergency personnel from all services with the ability to communicate directly with each other prior to arriving on scene. During his career Geoff had the opportunity to practice labour relations from the perspectives of both a union representative and a senior manager. These experiences have left him with a clear understanding of just what it takes to build and maintain healthy, respectful and beneficial workplace relationships. As Deputy Chief he was responsible for overseeing and implementing interpretation of the collective agreement. Since retiring from the fire service in 2008, Geoff has been working as a consultant within the public safety industry, including spending 13 months as Olympic Coordinator for Safety & Security for the City of Richmond 2010 Olympic Festival Site. He has worked with DMA since 2011 on most of the major fire and emergency service projects. Jim Cook is an experienced professional with over 38 years of experience in the fire service. He has extensive knowledge and experience with budgets, labour relations, fire operations, strategic planning, executive leadership, project management, community engagement, and organizational change. Jim began his career in the New Westminster Fire Department. He was promoted to the position of Deputy Chief in 2001. His roles and responsibilities included administration, annual operating and capital budgets, communications, human resources, emergency operations, training and facility maintenance including the planning and oversight of the transfer of personnel and equipment to the new main fire hall. In 2008, Jim was appointed to the position of Fire Chief in West Vancouver where he worked to improve the mutual and automatic aid agreements in the region which included transitioning the department to the E-Comm Wide Area Radio System. He also served as a member of the senior management committee responsible for leading the analysis, planning and design of an emergency services building. During his career, Jim has worked on several committees and boards including the BC Municipal Pension Plan, BC Investment Management Corporation, Vancouver Hospital Foundation, BC Fire & Life Safety Education Program, First Responder Program and the BC Fire Chiefs Association. He is also a past-President of the Greater Vancouver Fire Chiefs Association. Jim retired in 2015 and is currently working as a consultant specializing in organizational structure and change management in the fire service. He is also an instructor in the fire officer leadership program at the Justice Institute of BC. Ian MacDonald is a former lawyer who practiced international corporate law in Canada and the United Kingdom. Ian started as a lawyer with Davies Ward & Beck in Toronto in 1990 and worked on large corporate transactions in Canada, including corporate financings, shareholder agreements and corporate restructurings and corporate acquisitions. Ian became a partner in Davies Ward & Beck in 1994 and an equity partner in 1996. After moving to England in 1998, Ian became managing partner of Arnander, Irvine & Zietman, an intellectual property/litigation firm, and had a varied practice advising clients in respect of company formation, shareholder and members' agreements, corporate financing, governance issues, and privacy matters. He also did extensive work on litigation files related to corporate fraud. Ian retired as a lawyer in January 2004 and returned to Canada, since which time he has acted as a volunteer director on two boards, acting as the chair of the governance committee for both, and assisted various community groups in developing long term strategic and business plans. Ian has previously worked with Planetworks Consulting Corporation on the Capital Region Emergency Service Telecommunications project, conducting a full governance review of that organization. Ian has worked with DMA since 2007, participating on almost all the major fire and emergency service projects; providing advice to clients on governance and reorganization; and assisting several fire departments as they rewrite their bylaws to reflect the changes required by the Playbook and the new Fire Safety Act. Patrick McPhillips retired in 2012 after a 35 year career with Coquitlam Fire/Rescue where he served as professional fire fighter, Chief Training Officer and Assistant Chief of Operations. In these roles Patrick was involved with all aspects of fire service training, safety and crew management, fire investigations, fire inspections and emergency operations. Since 2009, Patrick has been a Structure Protection Specialist for the Office of the Fire Commissioner (the OFC). As part of a wildfire management team his duties include: working as part of an Incident Command team; coordinating the management and deployment of structure protection trailers and crews; and the triaging and protecting of structures in the wildland interface. As well, in 2012 he temporarily served as Fire Services Advisor (Coastal Region) for the OFC where he assisted the public in fire code inquiries, conducted fire inspections and fire investigations and delivered training. Patrick is experienced and qualified at delivering a variety of forestry wildfire courses. Recently, Patrick established the consulting firm, Pacific Wildfire Consulting, to provide advice to communities and industry on forestry interface protection issues. Patrick has been associated with DMA since 2015. He helped develop Standard Operating Guidelines for the Pender Harbour Volunteer Fire Department, participated on an asset deployment project for the Saanich Fire department and on fire service projects for the Peace River Regional District. Melanie Smith has an amazing ability to connect with people facilitating projects that require managing change. Melanie excels at training, system evaluation and implementation as well as process optimization. She finds ways to connect technology to people in a way that makes it simple. Melanie began her career in Public Safety working as a police dispatcher. She has held positions with training, operations and supervisory functions for dispatch centers since 1991. She has also worked in analyst positions where process and system review were the core building blocks to new procedure and technology implementation. Melanie has a Law Enforcement diploma from Grant McEwan College and a Business Analyst diploma from Royal Roads University. She completed the Advance BA certification from McMaster University and is currently an active member of the National Fire Protection Association, the Association of Public-Safety Communications Officials, the National Emergency Number Association, the International Institute of Business Analysis and the Canadian Interoperability Technology Interest Group.